It’s Experience of Care week, and we are celebrating an arts programme that is making a real difference to the lives of patient and staff at Witney Community Hospital. The annual Experience of Care week (also known as Patient Experience week, which runs from 23-27 April this year), focusses on the hard work and dedication of care staff who work to make patients’ lives better. At Oxford Health patient experience is a priority, and feedback is essential in shaping new movements for improvement within the trust, says Donna Mackenzie, our patient experience and involvement manager. 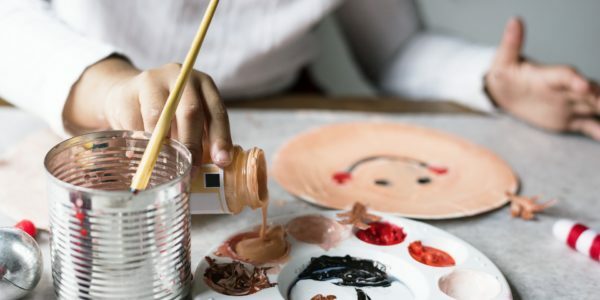 Within Oxfordshire, we’ve partnered up with the West Oxfordshire District Council for the Creating with Care programme, a two-year, temporary arts scheme that organises regular creative interventions at Witney Community Hospital. The project aims to enhance the patient and carer experience through a variety of artistic activities usually not available in hospitals. As part of the programme, Oxford Health staff have helped organise a vintage cabaret garden party, taken part in a flash mob, and are about to produce a book of poems and stories written by patients at the Witney Community Hospital. Creating with Care has also offered dance lessons, art sessions, and many other activities, and staff and patients report an improvement in their morale. “I thoroughly enjoyed it,” remarked one patient who had participated in the dance classes. Most recently, on Tuesday 17 April, the Creating with Care team hosted a dance class to celebrate the start of the national #EndPJparalysis challenge, which has staff encouraging hospital patients to ditch their pyjamas and get moving. During the 70-day challenge, which ends 26 June, we’re going to try and get our patients to be more active to help them recover faster and avoid problems such as pressure ulcers and decreased mobility, caused by prolonged bedrest. The local choir Cotswold Voices will also be raising funds for the Creating with Care programme through a concert in Witney on 11 May. For more information on Creating with Care, read the year one report. Find out more about the #EndPJparalysis campaign.